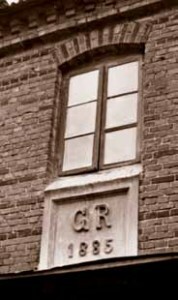 George Riik lays the foundation for large-scale industrial flour production in Tartu by establishing a steam mill at 61 Tiigi street. 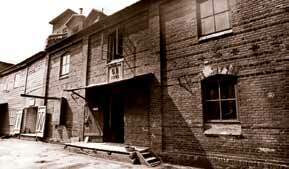 Felix von Berg becomes the new owner of the steam mill by auction. F. Berg gifts Tartu Steam Mill to the Cooperative of Livonian Agricultural Consumers and Producers. Daily flour production capacity is 36 tons. Peeter Jänes becomes the owner of the mill. 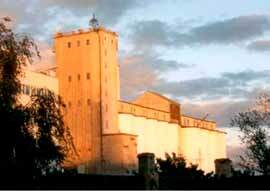 The mill is nationalised and becomes part of the Integrated Flour and Bread Plant. The mill is named Tiigi Mill. 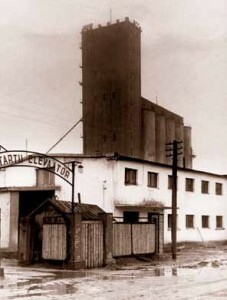 Tartu Elevator (granary) is built on the current premises. The new-made elevator is utilised by the German occupation forces. 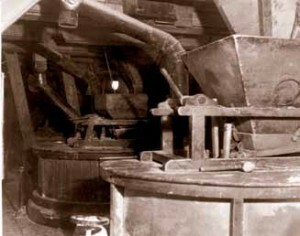 A flour mill is constructed by the elevator to grind flour for the military. A shelter and a military wine cellar are built under the silos. The retreating German troops detonate the support columns under the elevator. 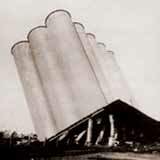 The grain silos along with the base platform stay supported on a single row of columns, slanted at a 45 degree angle. The second corpus of the elevator is built. The cooperative forms AS Tartu Veski (a public limited company) and the shares are sold to German companies. OÜ Veskimehed (a private limited company founded on Estonian capital) acquires 50% of the shares of AS Tartu Veski. The mill is upgraded with an organic production line. Grain drying begins. 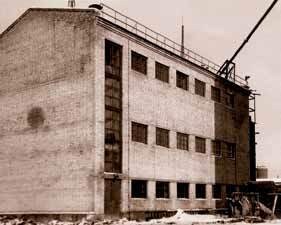 The Dobele Mill in Latvia is acquired, together with a granary and animal feed plant. Tartu Veski AS is renamed as Tartu Mill AS.